I have recommended them many times, mainly because the quality of their work is second to none. They're punctual, professional, and thorough. I like the fact that they show up on time, and they're ready to get down to business. They're wonderful. They installed my air conditioning and my furnace. I've had them come out and service stuff annually, and they're great at it. They're very personable and friendly. They show up when they're supposed to, and they do the job that they're supposed to do. They're reasonably priced and just a great group of guys and gals. I call them, and I know it's going to get fixed. I trust them. I liked that they were on time and that they were able to find a solution to the problem. They gave me the right estimate, and they did what they were supposed to do. Cold Craft, Inc. (CCI) is a full-service heating and air conditioning company that works on all types of furnace and air conditioning equipment. 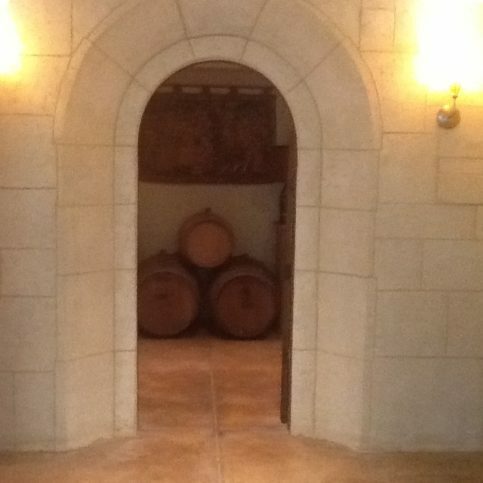 The company is also experienced in geothermal heating and air conditioning (using the earth’s constant temperature to heat and cool clients’ homes) and wine cellar refrigeration. CCI also has an engineering department that works on more complex HVAC-R (heating, ventilation, air conditioning and refrigeration) systems. 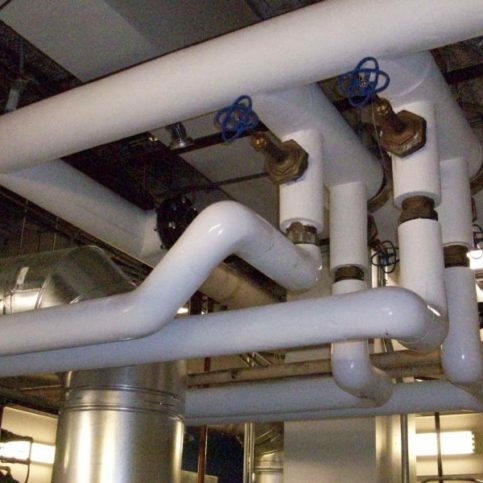 CCI thrives on difficult and unique HVAC-R issues such as water source heat pumps and ceiling-mounted air handlers connected to units sitting on rooftops. When precise temperature or humidity is called for, Cold Craft responds with ideas for comfort or humidity control. Clients who need precise temperature or comfort range from museums to luxury homes to those who need to protect their artifacts from the punishment of indoor HVAC systems. In addition to heating and air conditioning, CCI has an engineering department that’s dedicated to making sure clients’ projects are planned by people who also install HVAC equipment, not just people who are in front of computers. For complete commercial or residential information, Cold Craft invites potential customers to visit www.coldcraft.com. DIAMOND CERTIFIED RESEARCHED CAPABILITIES ON Cold Craft, Inc.
Company Name: Cold Craft, Inc.
DIAMOND CERTIFIED RESEARCHED ARTICLES ON Cold Craft, Inc.
A Cold Craft technician inspects a customer’s HVAC system. Few companies in the heating, ventilating, air conditioning and refrigeration (HVACR) field earn the prestigious Diamond Certified award, which means they’ve been independently rated Highest in Quality. Cold Craft, Inc. has been Diamond Certified since 2002, which shows a long track record of customer satisfaction and loyalty. Cold Craft, Inc. installs high-efficiency systems and renewable energy HVACR for both residential and commercial clients. Projects include geothermal installation and service, standard and high-efficiency HVAC, and even wine cellar refrigeration. CEO Susan Nichol speaks highly of the reputation Cold Craft has earned for using modern equipment and techniques, being very reliable, and employing craftsmen who are motivated by challenging projects. Cold Craft, Inc. offers customers a wide range of options, from basic HVAC solutions to energy-efficient geothermal, variable speed motors (VSM), wine cellar refrigeration and other solutions designed to help battle the rising costs of energy or tackle specific issues. 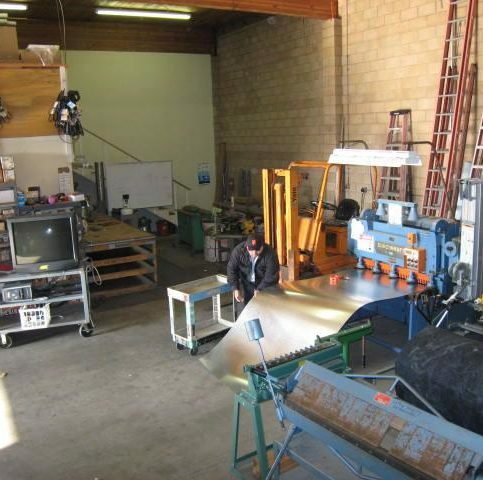 When Cold Craft, Inc. installs new equipment, it conducts a detailed, unique and proprietary quality control procedure that’s rarely performed by other companies in the industry. 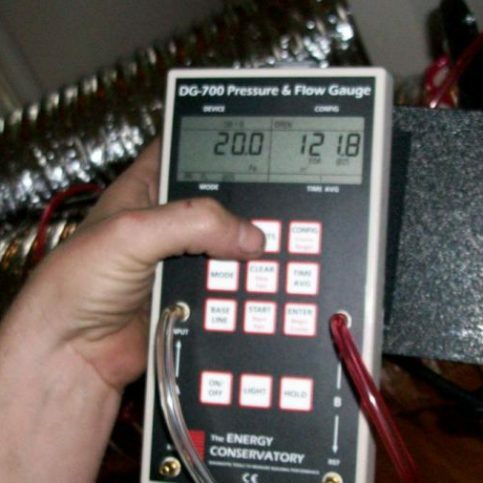 During this process, the technician collects two or more full pages of data and benchmarks (including things like airflow and gas pressure) and makes sure the equipment matches the conditions required for where it’s installed. 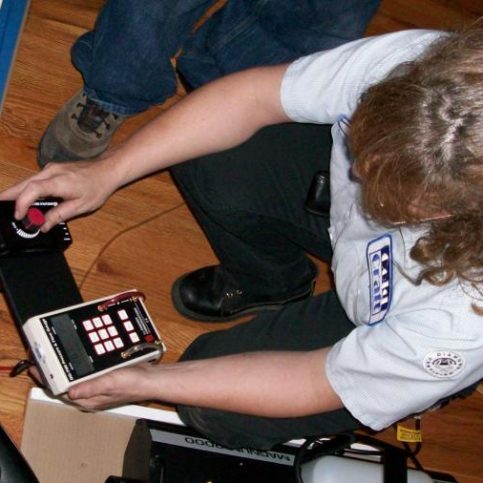 “Frequently, we find things that need to be corrected–things that other installers miss,” says Ms. Nichol. • Change your furnace and air conditioning filters once a month, even if the manufacturer recommends every other month. This is especially important during the summer, when dust and allergens circulate. 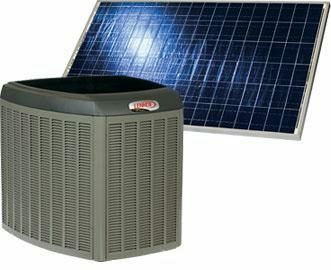 • Remove plants, fallen branches and debris from around your outdoor HVAC equipment. Objects that are too close can prevent adequate air flow. • Regularly vacuum indoor registers and air vents. Many heating contractors say dust and dirt cause almost half of their service calls. • Move furniture and drapes away from registers. A: That depends on whether it’s a residential or commercial call and where it’s located. We also occasionally provide reduced rates for diagnostic calls, where we send out a technician to see what’s wrong and then give a repair quote. Q: How experienced and trained are your technicians? A: All our technicians are trained and certified by North American Technician Excellence (NATE), a nonprofit organization that provides independent training and certification for the heating, ventilation, air conditioning and refrigeration (HVACR) industry. We’re also qualified to work at U.S. Department of Defense and Department of Justice facilities. 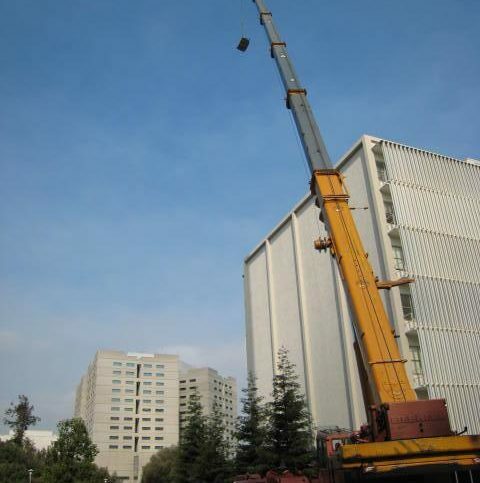 Q: How soon can you arrive at a jobsite? A: Our availability varies with demand, but we have 10 trucks that work throughout the South Bay, so we’re usually able to quickly accommodate our clients. Q: Can you replace parts based on another company’s diagnosis? A: Unfortunately, no. The work we perform is under warranty. 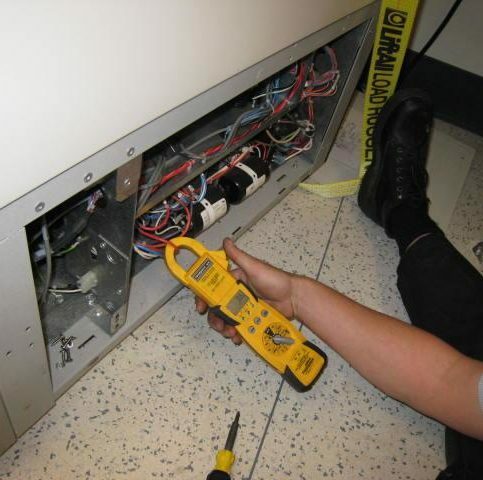 Q: What brands of air conditioning equipment do you service? 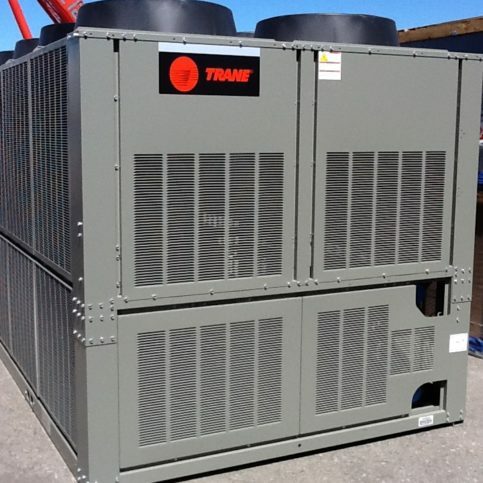 A: We service equipment from Trane, Carrier, York, Rheem, Goodman, Day & Night, Fedders, Bard, Lennox, American Standard, Comfortmaker, Nordyne, Hitachi, Mitsubishi, Amana, Whirlpool, Weather King, Breeze Air, Bryant, Vinotheque, Whisper Cool and many others. SELECTED PHOTOS FROM Cold Craft, Inc.
Susan has spent the last 20-plus years working in the Bay Area, where she resides with her husband and two sons. She says that while she’s grown to appreciate the mild local climate, as an East Coast native, it initially took some adjustment. “Frankly, since I was accustomed to eastern weather, it was a bit uncomfortable for me not to see rain from March until November,” she laughs. A: I love all types of food, so it depends on what I’m in the mood for. A couple of my favorite spots are Alexander’s Steak House and the Silicon Valley Capital Club dining room. I also like authentic ethnic restaurants where you sit on the floor and there’s entertainment like belly dancing—I enjoy the experience as much as the food. A: I’m definitely a dog person. Not only do I think they’re more personable, I’m allergic to cats! A: Godzilla. Who else can come to town, stomp around and leave without cleaning up? A: I like several different comedians, from big stars like George Lopez to local performers like Ross Turner and Michael Slack. A: Both. If I was on my own schedule, I’d get up early, nap mid-day and party at night! A: Butch Vig. He was the premier producer during the alternative rock boom of the early ’90s, helming records for bands like Nirvana, Smashing Pumpkins and Sonic Youth before finding success as a performer with the band Garbage. He’s actually married to a relative of mine. From getting to know him, I can say he’s as laid back and down to earth as his videos and pictures depict him to be, which isn’t always the case with famous people. 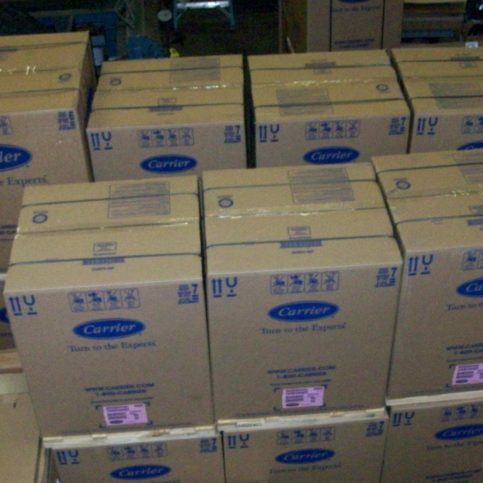 CAMPBELL — One simple yet often overlooked aspect of furnace maintenance is regular filter replacement. It’s an inexpensive investment considering the benefits it provides, especially when you consider that neglecting to replace a furnace filter can lead to costly system repairs. In fact, 50 percent of furnace repairs performed in the United States result from excess dirt and debris accumulating inside the furnace. By changing your filters regularly, you can avoid this. Besides being a preventative step against system failure, changing your furnace filter can enhance the air quality inside your home. According to the American Lung Association, air quality tends to be lower inside a home compared to outside. Fortunately, a clean furnace filter can help improve this situation, particularly if anyone in your home smokes or has allergies. In addition to changing your furnace filter, you should also consider upgrading to a style that offers the maximum amount of filtration. Filters are rated by the MERV system, and the higher the rating, the better the filtration. A filter with a MERV rating of 10 is a good choice. Host, Sarah Rutan: When caring for your home, you’ll need to learn how to maintain and change your filter. 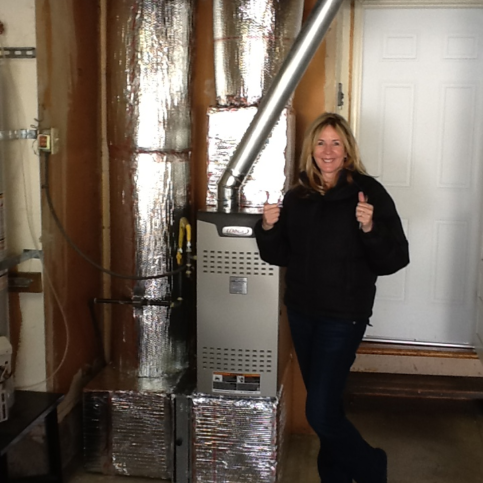 Today we’re with Diamond Certified Expert Contributor Susan Nichol of Cold Craft to learn about furnace maintenance. Diamond Certified Expert Contributor, Susan Nichol: An easy yet often overlooked home maintenance is changing that furnace filter. If it’s dirty, and this one is really not that bad, throw it out. You don’t need that. Filters are cheap. Here’s a couple examples here. So, that inexpensive furnace change – filter change now can avoid a costly repair bill later. Besides, 50 percent of the repairs for furnaces in the United States are caused by dirt and debris inside the furnace. Changing your filter can avoid that. According to the American Lung Association, air quality inside the house is much worse than air quality outside the house. So, you have a lot resting on these filters. So, if you have someone with allergies in your home or if you have a smoker or if you have a lot of dust in your home, you might want to upgrade your furnace filter. Here’s a MERV 10. And the rating for filters goes by MERV ratings. The higher the number, the better. So, this MERV 10 is actually pretty thick, and it shows you also the air flow. It’s important that you install your new filter the right way. So, the air should go this direction through the filter. So, what did we learn today? Change your furnace filter for cleaner air. We want to also fix the – make it so we don’t have expensive repairs later. And we want to make sure that you have clean air to breathe. Kent Penning is a 34-year veteran of the HVAC industry and owner of Cold Craft, Inc., a Diamond Certified company since 2002. He can be reached at (408) 341-9915 or by email. A: The Oakland Raiders. I think it’s interesting how the team still has a bad boy reputation but they seem more laid back than ever—especially the fans, who are actually more mature than a lot of teams’ fans. Q: If someone was making a movie about your life, what actor would play you? A: One customer called and said he had skunks looking at him from inside his air conditioning vent. A: Spain, because a number of people have told me it’s just as beautiful as California. Q: If you could have a conversation with anyone living or dead, who would it be? A: Smokey Yunick. He was a famous NASCAR racer—a self-educated good ol’ boy from the South whom all the big shot engineers from Detroit would seek out and hire to solve their technical problems. 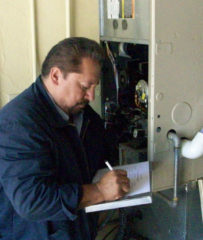 CAMPBELL — One commonly neglected aspect of furnace maintenance is inspection. 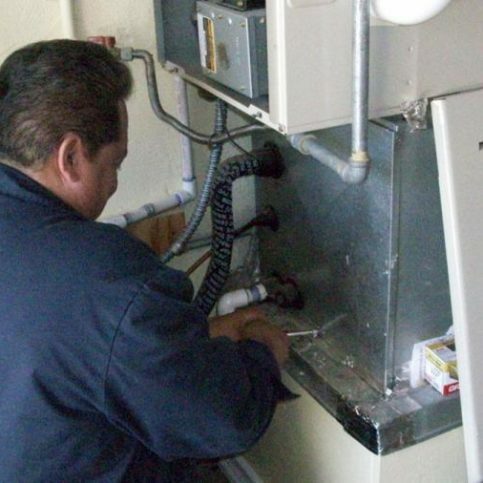 While ongoing upkeep such as routine filter changes is vital to a furnace’s performance, having it regularly inspected by a professional is equally important in terms of efficiency and safety. This is particularly true with furnaces that are more than 10 years old. 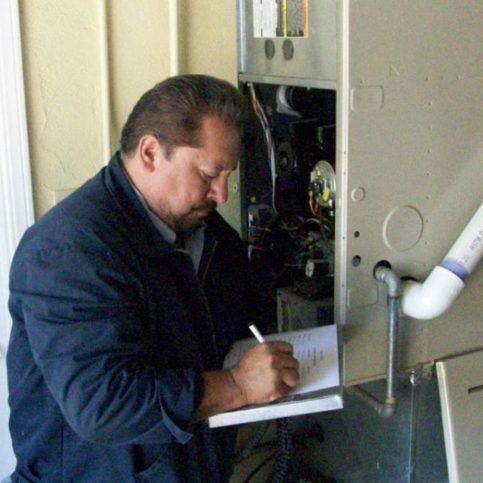 While annual inspection is a good idea for any furnace, it’s even more important for older units to ensure they continue to operate properly. A furnace’s components can wear out as it ages, which increases the chances of issues like overheating. 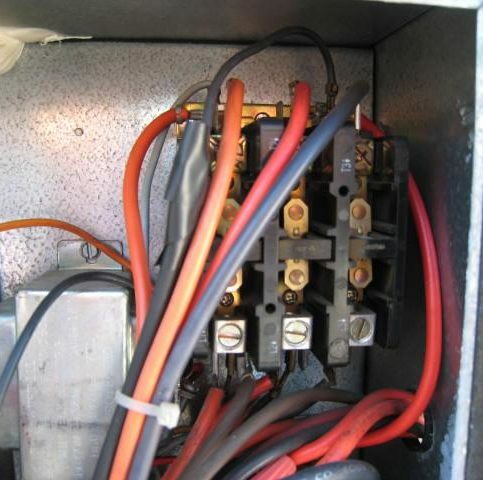 An overheating furnace can actually melt the system’s wires and insulation, which creates the potential for a fire. 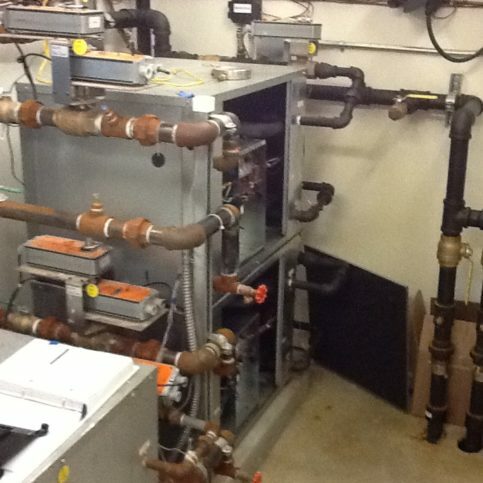 In addition, an older furnace can start to accumulate rust on its metallic components. A licensed HVAC professional will be able to spot such problems and offer solutions to keep your furnace running optimally and maximize its lifespan. Not only can regular inspection prevent unanticipated system failure, but operating costs will be at their lowest when your unit is inspected and serviced on a regular basis. CAMPBELL — Everyone wants to save money on their heating bills during the winter, and some people try to accomplish this by closing the air vents in certain rooms throughout their homes. While this strategy can potentially save money, it can also backfire because it introduces the risk of overheating the furnace. When a furnace overheats, it triggers an automatic shutoff (known as a limit switch) that acts as a safety default against potential fires. While a limit switch will protect you from a house fire, it will also put your system out of commission and require the expertise of a technician to get back online. Before you close your air vents, you need to consider the number of vents in your home. In order for your system to run safely, 60 to 70 percent of your home’s air vents need to be left open. That means if you have 10 vents, you should keep at least six open to protect your system against a default shutdown. CAMPBELL — Host, Sarah Rutan: If you want to maintain air flow in vacant parts of your home, you’ll first need to know your options and the pros and cons of each. Today we’re with Diamond Certified Expert Contributor Kent Penning of Cold Craft to learn more. Diamond Certified Expert Contributor, Kent Penning: Everyone wants to save money during heating season. And as a professional contractor and instructor at a vocational school, I get asked the following question quite a bit. People will ask me, say, Kent, I’ve got some rooms in my house that aren’t being used. Can I turn off my air outlet? Well, the answer is: That depends. That depends on a number of things. One of the big things is: How many air outlets are in your home? First off, let’s talk about your air outlets. If you have an air outlet on the floor, it will generally be brown. And you can go ahead and open or close the air outlet by moving the thumb wheel on the side. And you’re not going to be able to see the dampers in the back, but the thumb wheel will go ahead and open or close the dampers. Other homes will have a ceiling diffuser, and they’re typically white. And again, you’ve got a lever on the side that can be moved and will go ahead and move the blades in the back. By moving the blades in the back, you’ll either open or close said register or diffuser. Well, how many can I close? Well, the rule of thumb is that you want to keep 60 to 70 percent of them open. So, if you’ve got 10 air outlets in your home, you want to keep six or seven of them for sure open. Well, you know, I’m a tightwad, Kent, and I want to close down more than that. Well, be aware that you’re running a risk of overheating that furnace and having the furnace trip off and what we call a limit switch or a high temperature switch. 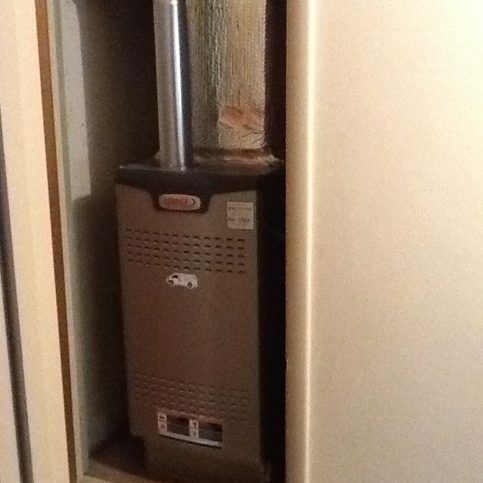 If the furnace gets too hot, be it old or new, it will shut off because it’s too hot. And this is to protect you and your family. So, my recommendation is not to turn off any more than six or 60 percent of the air outlets in your home, unless you like – want to spend a cold night. The furnaces do protect themselves, and these safeties, you know, are meant to protect you and your family. CAMPBELL — Host, Sarah Rutan: When it comes to home maintenance, you’ll need to know how to properly inspect and maintain your furnace. Today we’re with Diamond Certified Expert Contributor Kent Penning of Cold Craft to learn more. Diamond Certified Expert Contributor, Kent Penning: Everyone wants to minimize their heating costs during the winter and keep their family safe. If you have a 10 year or older furnace, I recommend that you have that piece of equipment inspected on a yearly basis to protect your family. 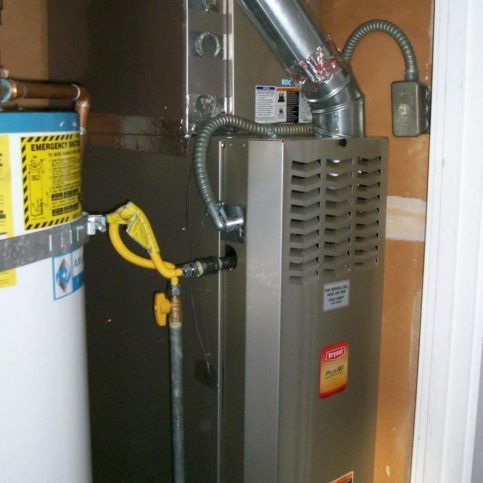 We have a furnace that had an inspection performed on it with the latest and greatest tools. Visually, what the technician found on this piece of equipment is that it was overheating and getting excessively hot. As a matter of fact, it got so hot that the insulation had melted on the wires and was actually started burning. So, you can see some of the melted insulation and burned insulation right here and there’s some more up there. Another huge visual thing to look for on these older pieces of equipment is rust. This piece of equipment here, there’s all kinds of rust around the burner compartment area. On this particular piece of equipment, it had, again, multiple problems, and it got so hot that the fire in the heat exchanger actually melted a hole here and on this side. And this was acting like a blow torch. And this is actually a newer piece of equipment. This piece of equipment was about 10 years old. This furnace failed for a number of reasons: the filters were dirty, the registers, the air outlets were significantly closed. Operating costs will also be at their least when you have clean filters and the equipment inspected and lubricated on a regular basis by a professional. Diamond Certified RATINGS ON Cold Craft, Inc. Cold Craft, Inc. : Average 9.1 out of 10 based on 414 unique customer surveys of customer satisfaction. I thought they did a good job. I don't have much else to say. They were here when they said. The guy did a great job. He knew what he was doing, he wasn't trying to upsell me on new unit, he showed up on time and didn't rush and give up after 15 minutes. He took the time and solved the problem. He was also very polite and had good mannerisms, very professional. They fixed everything and they were very helpful. The employees are professional, they gave a good explanation of what needed to be done and what they did. The explanation and knowledge, they know what they are doing. My husband was an instructor of air conditioning for 15 years and he chose Cold Craft. The guy who came out gave me a detailed explanation about the problem we were having. He actual;u taught me a few things about how best to operate the AC and heater after the repair. He also made some recommendations on what should be done in a couple months from then, which would be now, so I'm glad you called. I need to get an appointment with them. They were very straightforward with their service and gave me a lot of information on the system we have. Everything. They came on time, they did the work on time, and they did a really good job. I had worked with an AC contractor that wasn't able to help. I then found Cold Craft. My insurance said they were a company that they could work with, eventually we found the problem and they were able to fix it. It took a lot of time. I called over 30 companies. I wanted to talk with them over the phone about the problem before they came out because I already knew what the main issue was. Robert really listened and he found the problem because he listened to me. Robert is nice, patient, and he listens. I would just tell them that they stand behind their work. I thought they were really knowledgeable, they are here when they say, and they give pretty extensive reports and suggestions. They are here when they say and communicate well. They are just good at what they do and I have been using them for a long time and they are somewhat loyal to me. I think they are very knowledgeable. They had done some repairs for us most recently, they also do our on-going maintenance, I think they are very knowledgeable. They were good. Corporate has them come out every so often to maintain things, they are good. They show when they are scheduled to. They have been able to give us a lot of assistance over time. I would recommend them without hesitation. They are always on top of what needs to be done, they don't try to avoid work or cut corners. To use them, they got it down. When I got a hold of Cold Craft, they were able to come every 3 months. They tell us what they did and what needs to be done. They keep to their schedule, and they are always on time. They are very nice guys. They do their best to keep us cool when it's hot and warm when it's not. I don't know what else to say, they obviously do what they are supposed to. They were very efficient and they did what they promised they would do. I feel that they were very good people to deal with. I would use them again and again if needed. Basically, I think they did a really good job. I'm very happy with our new system here.